Len Fullenkamp, Army War College historian, is a wonderful communicator. His videos on YouTube explain military history in a way that makes it exciting and understandable. In this video, he tells how a key individual in the right place, at the right time, taking the right action, can change history. 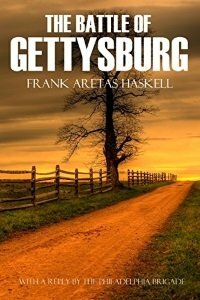 Two men who did so at Gettysburg were Joshua Lawrence Chamberlain (Day 2) during the defense of Little Round Top and Frank Aretas Haskell (Day 3) during the crucial moment of Pickett’s charge.